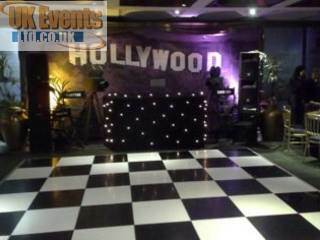 Welcome to our Disco and DJ entertainments page. 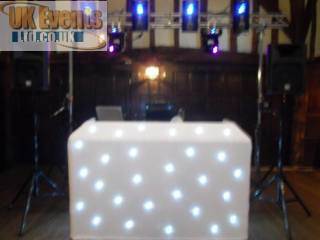 We have many disco packages to choose from to cater for almost any size function for any occasion. We mainly cater for Corporate events, Weddings, Birthday parties, Engagement parties, Special events and VIP nights. It is important to have the right DJ taking care of your event, which is why we have many specialist DJ's working directly for us. 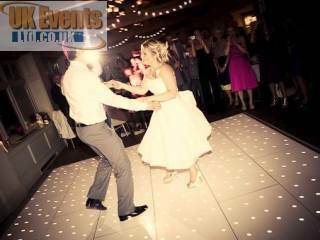 Our DJs have at least 10 years experience on the professional circuit and carry music to cater for all age groups and music tastes. Our experienced DJ's will carry a music collection of all types of artists from the 40's, 50's, 60's, 70's, 80's, 90's, 00's and modern day chart, dance, hip hop, r'n'b, indie and more specialised groups such as drum and bass, garage and house music. 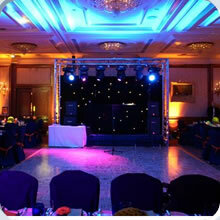 We are by far one of the best entertainment suppliers the industry has to offer. We use only the best equipment the industry has to offer and have the reputation to go with it. Our DJs are polite and will do everything possible to accommodate you and your guests to make your event a great success. Our sound systems are the industry leading EV (electrovoice) or RCF speakers. This is a high quality sound system which looks stylish and it's a name the industry experts recognise and trust. Our lighting system is a combination of Abstract Future scan 3's and Imove 7s moving heads and various other known LED lighting effects. The lighting is mounted on trilite truss and looks very impressive. All of our DJ's use Shure SM58 Microphones or a similar leading brands, which comes in useful for speeches which need to be clear and heard. We finish off our disco look with a star cloth surround which looks very professional and more importantly, hides cables and control gear. Not only are we offering a the all new pink floor we are now proud to offer a fully animated bar counter and the ever so popular 5ft tall LED love letters.